-CA-55 N becomes CA-91 E.
-Merge onto CA-60 E toward I-215 S/San Diego/Indio. -Merge onto I-10 E via the exit on the left. -Take the Desert Center Rice Road/CA-177 exit, EXIT 192. -Turn left onto CA-177/Desert Center Rice Rd. -Continue to follow Desert Center Rice Rd. 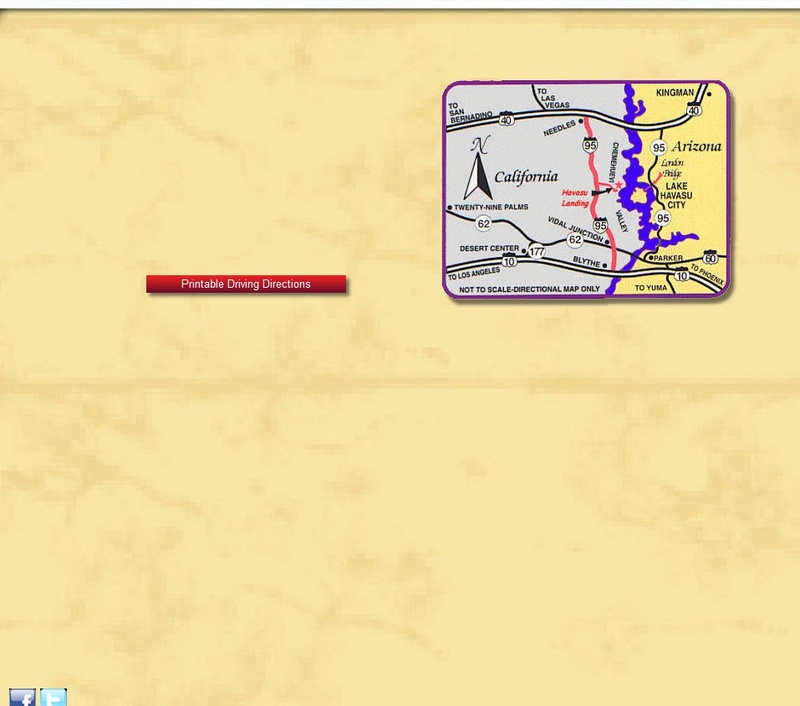 -Desert Center Rice Rd becomes CA-62/Aqueduct Rd. 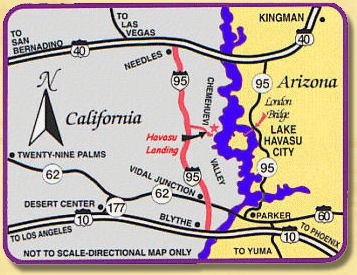 -Turn right onto Havasu Lake Rd. -Start out going west on W Washington St toward N 3rd Ave.
-Turn right onto N 7th Ave.
-Merge onto I-10 W via the ramp on the left toward Los Angeles. -Take EXIT 19 toward US-95/AZ-95/Parker/Yuma. -Turn right onto I-10-BL/S Riggles Ave.
-Take the 1st left onto E Main St/I-10-BL. -Turn right onto S Central Blvd/AZ-95. Continue to follow AZ-95. -Turn left to stay on AZ-95. -Stay straight to go onto S California Ave (Crossing into California). 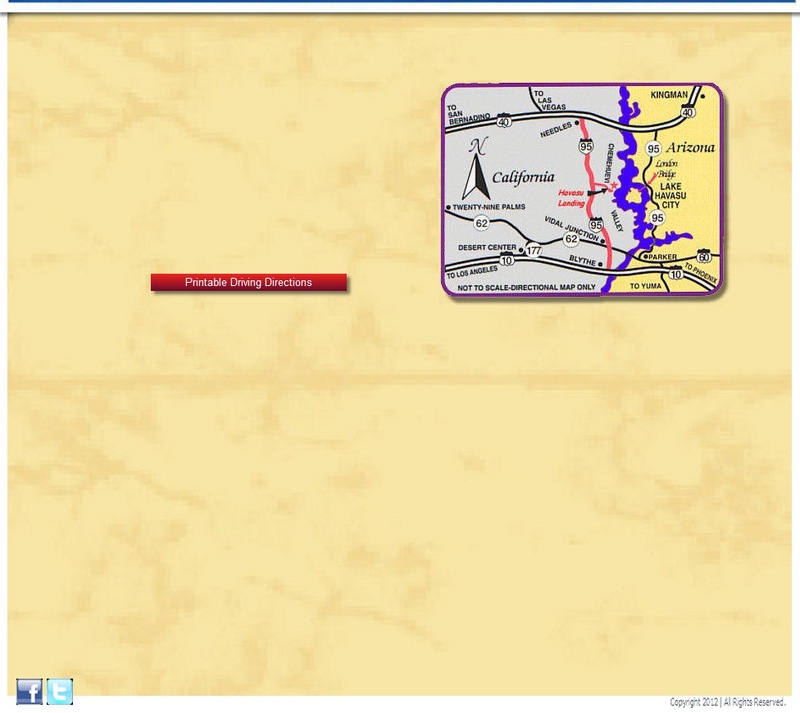 -S California Ave becomes CA-62/Aqueduct Rd. -Turn left to stay on CA-62/Aqueduct Rd. -Welcome to HAVASU LAKE, CA. -Start out going southeast on Stewart Ave toward N Las Vegas Blvd/NV-604 S.
-Merge onto US-95 S toward Searchlight/Needles/Laughlin (Crossing into California). -Merge onto I-40 E/US-95 S via the ramp on the left toward Needles. -Take the US-95 S/E. Broadway exit, EXIT 144, toward Blythe.